iSpyoo and mSpy are two popular monitoring apps and services in the market available right now. Parents and employers all over the world use these services in order to keep a keen eye on their kids and employees all the time without invading their privacy and without looking suspicious. Parents have to monitor their kids’ activities especially online activities to protect them from cyber threats like cyber bullying while employers do that to protect their companies, businesses, confidential data and critical information. Let’s compare these apps and services. It is quite easy to install iSpyoo and mSpy as all you need is 2 minutes of physical access to the target device. You have to have physical access because no operating system allows remote installation. After the installation and initialization process, you don’t need physical access to the device. iSpyoo is compatible with iOS devices (jail broken) and Android devices. Unfortunately it only supports a limited number of Android devices and you can see the list from their official website. 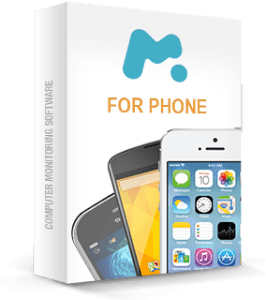 On the other hand, mSpy does support iOS devices (jailbroken and non-jailbroken both), Android devices as well as Windows based computers and Mac OS that is a huge advantage it has over iSpyoo. Both of these services have features like call monitoring, message and email monitoring, real time location tracking as well as social network monitoring. mSpy also has Snapchat monitoring that is a huge plus considering every kid uses Snapchat and it is the most widely used social network among young adults. Although almost all other monitoring apps have location tracking feature that allows administrators to track the target device in real time and pin point the exact location but these services also have location recording function that simply record the route of target device and person for a given time period. With the help of this feature, you can easily see where you kid went last night and how much time he spent there. iSpyoo and mSpy can provide access to the photos, videos and all other kind of multimedia files stored on the target device. Administrators can view those files remotely with the help of web portal company provides at the time of purchase. mSpy also has remote lock and wipe feature that is quite useful if your device get lost or stolen and you have private data in it. Although the prices of both of these services and apps are competitive yet mSpy has a slight advantage here as it offers more packages and time period options so users can select the most suitable package according to their needs. iSpyoo has 3 different packages which are standard, premium and gold. Standard package is available for $17, $46, $71 and $114 for 1, 3, 6 and 12 months period while the gold package goes high as $23 per month. mSpy offers 4 different packages which are basic, premium, family and bundle plans; all of these packages are available for 1, 3, 6 and 12 months time period. Users can buy phone plans separately as well as in bundle package that makes it easier to choose the best possible and most suitable package. 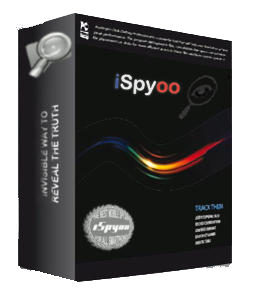 iSpyoo and mSpy both are packed with advanced features like real time location tracking yet mSpy has a slight advantage in terms of prices and a huge advantage when it comes to compatibility with non-jailbroken iOS devices and availability for desktop PCs and laptops.